GAME has a large Fabrication shop, efficient enough to carry out huge technological fabrication work. It is equipped with latest Plate Bending Machines and other efficient machines to carry out the voluminous work at a higher pace to give time bound results. GAME has undertaken heaviest fabrication upto 147MT, fabricated sperately, controlled assembled in GAME premises and dispatched in parts. The annual fabrication capacity is 5000TPA, depending upon the job configurations. 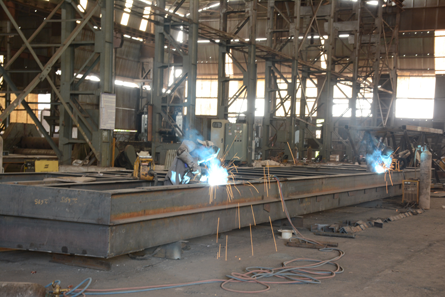 Fabrication shop has a huge area of 1.5 Acres approximately. 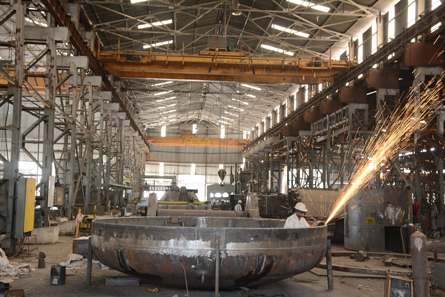 The company takes utmost precautions while doing fabrication with a team of highly skilled welders, fitters, electricians and supervisory team to fulfill customers specifications.